Majority leader: Frank B. Aguon Jr.
Guam-U.S. Military buildup, Infrastructure and Transportation: Frank B. Aguon Jr.
Health, Tourism, Military Affairs and Senior Citizens: Dennis G. Rodriguez Jr.
Elyze McDonald Iriarte was sworn in on Nov. 29 as a judge for the Superior Court of Guam. 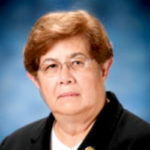 The 33rd Guam Legislature confirmed Iriarte’s appointment as a judge on Nov. 22, after being appointed by Gov. 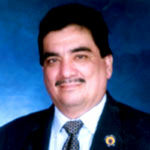 Edward B. Calvo to fill the vacancy left by the resignation of Judge James L. Canto II. Iriarte holds a bachelor’s from the University of Chicago and a juris doctorate from the University of Southern California Law School. 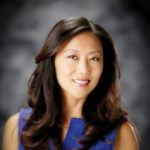 She has been a member of the State Bar of California and the Hawaii State Bar and is a member of the Guam Bar Association. She was named as one of Guam Business Magazine’s “Forty under 40” in 2014. Benjamin C. Sison Jr. was sworn in on Oct. 25 as a magistrate for the Superior Court of Guam. 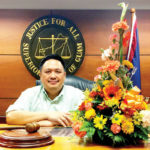 Sison was appointed by the Supreme Court of Guam in 2009 to serve as a part-time referee over trials and hearings for the Traffic Court and Small Claims Court. He is a member of the judiciary’s subcommittee on technology and information systems. 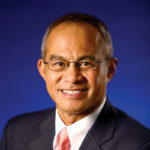 Sison holds a 1986 bachelor’s in biology from the University of Hawaii at Manoa; a 1990 juris doctorate from the Boston College Law School; a 1994 master of business administration from the Seattle University Albers School of Business; and a 2004 master of laws from the University of Washington School of Law. 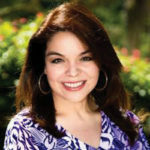 Delores “Dee” Perez-Damian was named president of Perez Bros. Inc. in September 2015. She is also co-owner of Sunday Club Ltd. and program manager for the Adkins Scholarship foundation. 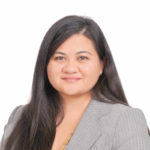 Perez-Damian was formerly director of marketing at Tumon Sands Plaza from 2010 to 2014 and from 2010 to 2011 director of marketing for Gemkell Corp. She was also marketing manager for Perez Insurance Brokers Inc. from 2004 to 2007 and administration and communications coordinator for Louis Vuitton Guam from 2004 to 2007. 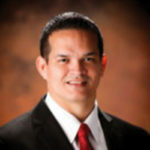 Perez-Damian has 12 years in the profession and holds a master of business administration from the St. John’s University Tobin School of Business in Rome. GTA announced on Dec. 21 the appointment of George Hill to the newly created position of executive vice president of strategy, IT and process improvement. He will also serve as a member of GTA’s Senior Leadership Team. 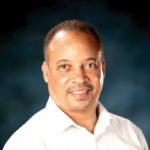 Hill has more than 29 years of experience with a global perspective gained from living and/or working in more than 15 countries including China, Singapore, India, Germany, Brazil, Venezuela and Trinidad and Tobago. 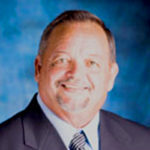 Most recently, he served as chief operations officer of a manufacturer of small cells, Enersphere Communications. 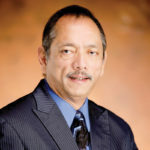 Hill also previously worked for seven years at TSTT in Trinidad and Tobago, where he served initially as chief technical officer and later as chief operations officer and acting CEO. Earlier in his career, he worked for BellSouth and Cingular for 15 years in various role. Hill has an MBA from Emory University and an industrial electronics degree from Cleveland Institute of Electronics. Pernix Guam LLC, a wholly owned subsidiary of Pernix Group Inc., announced on Nov. 14 the appointment of M. Scott Kroll as its vice president of operations – Pacific Division and general manager overseeing the Pernix Guam operations. 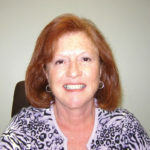 Kroll joined Pernix Group last year as a senior project manager. 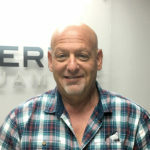 He brings more than 30 years of experience in the construction industry and has directed and managed commercial and federal construction projects in the U.S. mainland, Middle East, Asia and Africa. He holds a 1980 bachelor’s in business management from Tulane University, New Orleans. 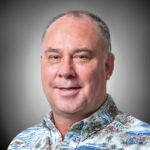 Jon F. Bargfrede joined Bank of Hawaii as senior vice president and consumer lending manager – West Pacific, including dealer indirect lending, direct lending, mortgage and collections. Bargfrede has more than 25 years of experience in the financial industry. 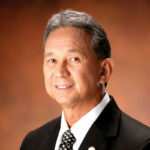 Prior to joining the bank, he was president and CEO of Bank of Saipan for 13 years. 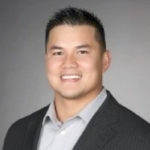 He holds a bachelor’s and master’s in business administration from Chaminade University of Honolulu and is a graduate of the Commonwealth Bank Graduate School of Retail Bank Management. Hiroki Sugie assumed the general manager position at Hotel Nikko Guam on Dec. 1 upon General Manager Masaaki Kawanabe’s retirement. 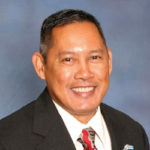 Sugie transferred from his position of five years as general manager of Pacific Islands Club Saipan. 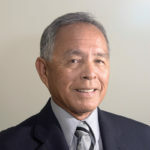 Yoshihito Shibahata assumed the general manager position at Pacific Islands Club Saipan on Nov. 1, after less than six months as assistant general manager at Hotel Nikko Guam. 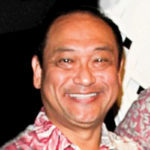 Prior to the Nikko, Shibahata was employed as assistant general manager of Hilton Guam Resort & Spa from 2012 and as director of rooms for 12 years at the Hyatt Regency Guam. 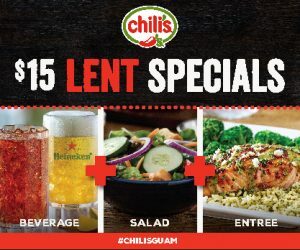 Shibahata is a 1988 hotel and restaurant management graduate of the University of Denver. The University of Guam announced on Nov. 16 its appointment of Tom Schils as the director of the Marine Laboratory. 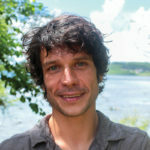 Schils joined the university in 2006 and has taught marine biology for the last 10 years, as well as has written multiple papers and research proposals and performed international field work in seaweeds. He holds a 1996 bachelor’s in biology from the University of Antwerp in Belgium, a 1998 master’s in botany and a 2003 doctorate in marine botany from Ghent University in Belgium. Justin Andre joined the University of Guam as an outreach coordinator for the university’s Professional and International Programs Office, according to a Dec. 13 release. 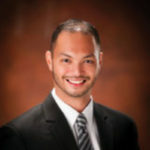 Before joining UOG, Andre was a project manager for Cabras Marine Corp. He holds a 2010 bachelor’s in business administration and marketing from the Missouri Valley College. Heidi M. Ballendorf was elected as chairperson for the Pacific Water and Wastewater Association’s newly formed Northern Utility Chapter. Since 2006 Ballendorf has been the communications manager at Guam Waterworks Authority. She was also the public affairs director for the Guam Consolidated Utility Services from 2009 to 2015. She has served on various directorships. Renie A. 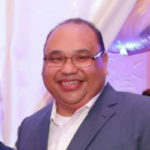 “Rey” Llaneta, president of Re/Max Asyenda Realty Philippines, and Geraldine M. “Geri” Leon Guerrero were confirmed as directors on the Alcoholic Beverage Control board on Nov. 29. William “West” Cassidy was confirmed to serve on the Banking and Insurance board and Antoinette “Toni” Johnson, associate broker at Blue Pacific Realty, was confirmed to serve on the Real Estate Commission. United Airlines earned its sixth consecutive 100% score on the Human Rights Campaign’s Corporate Equality Index and a spot on the organization’s list of “Best Places to Work for LGBT Equality,” according to its Dec. 6 release. 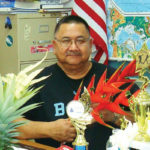 The Marianas Tourism Education Council and Marianas Visitors Authority announced on Nov. 28 two board members for the school year. Catherine Perry Harris, owner of Integrity Communications, and Glenn Policare, director of operations at Kanoa Resort, were nominated and approved to join the board of the educational organization. The Guam Community College Culinary Arts program was accepted into the World Association of Chefs Societies Recognition of Quality Culinary Education program last year and received the formal letter of recognition in October. 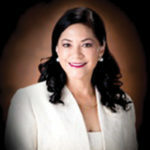 Jeffrey B. Jones, president and chief operating officer, Triple J Enterprises Inc.
Robert P. Salas, president, Landscape Management Systems Inc.
Bernadette Valencia, general manager, Matson Navigation Co. 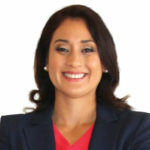 The two alternate directors to serve one-year terms are Risha Aguon, licensed professional counselor with Counseling Services, and Peter R. Sgro Jr., president and chairman of International Group Inc.
Robert P. Salas was the highest vote getter and will automatically serve on the chamber’s executive committee in 2017. Ernie A. Galito, marketing and communications director, Atkins Kroll Inc.
James Herbert III, general manager, Triple J Five Star Wholesale Foods Inc.
Jonathan Kriegel, president and CEO, Docomo Pacific Inc.
Ron Smith, president, Angil Design Inc.
Kevin McCale, account executive, Docomo Pacific Inc.
Allied Industry Chapter: James S. Herbert III, general manager, Triple J Five Star Wholesale Foods Inc.
Darren N. Talai, managing director, International Dining Concepts, which does business as California Pizza Kitchen, Eat Street Grill, Beachin’ Shrimp and Hot Diggity Dog. 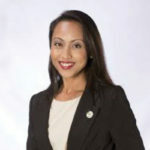 The Belau Tourism Association announced on Nov. 15 that Leilani Reklai, vice president, assumed leadership of the association following the sudden death of Jason Bodo Skebong, who was president. 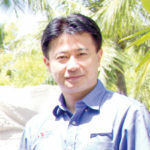 Sun Hai Hao of Hi Resort was elected to fill the open board seat. Jade Kloulchad also joined BTA as administrative officer. The Naval Facilities Engineering Command Marianas recognized its military and civilian Engineers of the Year during an awards ceremony on Oct. 28. Lt. Cmdr. 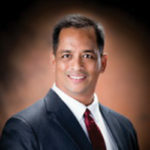 Henry Suter III, director of the Naval Base Guam Public Works Department Facilities Engineering and Acquisitions Division, was awarded Military Engineer of the Year. Kenneth Gould, supervisory general engineer for NAVFAC Marianas, was awarded Civilian Engineer of the Year. GHD Inc. received a Special Recognition Award — Advancing Construction Management for its use of construction management software to support collaboration on the Ordot Dump closure. The winners of the annual Be Inspired Awards were announced at The Year in Infrastructure 2016 Conference Nov. 1–3 in London. 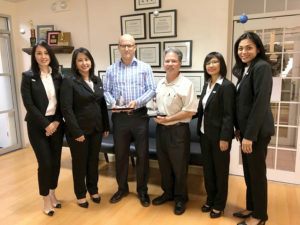 The Make-A-Wish Foundation of Guam and the Northern Mariana Islands announced on Oct. 21 that Eric Tydingco, former board chairman and owner and COO of Pivot LLC, was named interim executive director after Victor P. Camacho’s resignation. Core Tech International Corp. was named 2016 Guam Contractors Association Contractor of the Year. The Standby Generator Building by Black Construction Corp. was awarded first place overall in the 2016 GCA Excellence in Construction awards. In second came placed the Trinchera Place by the Tutujan Hill Group, and in third, the Cetti Bay Watershed Reforestation Project by Smithbridge Guam Inc. Other awards were made in various categories. The U.S. Small Business Administration Guam Branch Office announced on Oct. 28 Bank of Guam as the “SBA Lender of the Year” and Noela Santos, lending officer for Coast 360 Federal Credit Union, as the “SBA Banker of the Year.” SBA grants “Lender of the Year” and “Banker of the Year” each year to the SBA lending institution and lending officer who approves the highest number of SBA-backed loans in a given fiscal year. 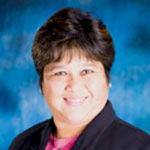 The Bank of Guam approved a total of 23 SBA Guaranty loans lending more than $1.5 million to various small businesses. Santos individually approved a total of 19 SBA Guaranty loans lending more than $1.2 million to small businesses. The Northern Mariana Islands received the Most Potential Destination Award at China’s 12th National Tourism Awards event held on Dec. 12 in Beijing. The National Tourism Awards is organized by Tourism Media and Best Travel Media. Chief criminalist Guam DPS, retired FBI special agent, senator, chief of police, director of corrections and Homeland Security advisor. 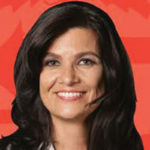 School of Business and Public Administration: Sandra McKeever, bachelor of arts in marketing, 1999. 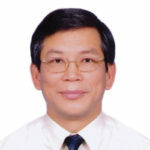 President/financial adviser, Asia Pacific Financial Management Group. School of Education: Salvador Avilla, bachelor of arts in secondary education and sociology, 1973, master of arts behavioral sciences, 1975. 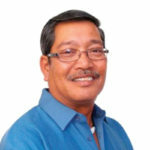 Department chairperson – Social Studies, George Washington High School/Tiyan High School, former principal, Agueda Middle School. 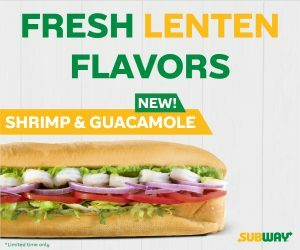 Military: LTC(R) Renie A. “Rey” Llaneta, Army, bachelor of arts in psychology, 1984. 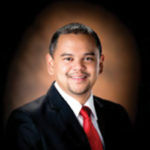 President, Re/Max Asyenda Realty Philippines. (From left) Candy Okuhama, director of sales; Michelle Quichocho, director of operations; David John, president; Don Clark, vice president; Loida Battund, director of trades; Gaby Bamba, director of client services; all with ASC Trust Corp.
ASC Trust Corp. received two awards for outstanding commitment to the partnership with 10 years of collaboration and exceptional growth in meeting targeted goals by Fidelity Investments. 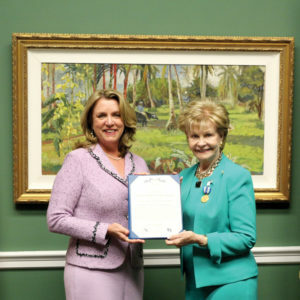 Photo courtesy of ASC Trust Corp.
Madeleine Z. Bordallo, Guam’s representative to Congress, received the U.S. Air Force Distinguished Public Service Award on Dec. 7. The award was developed to appropriately recognize distinguished civilian Americans who have made significant contributions to the Air Force.